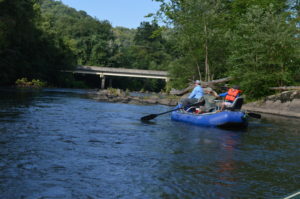 Special 5hr Float Trip during prime time fishing hours on the Tuckasegee River or Little Tennessee River for only $225.00 per boat! Our Float Trip Special includes everything you need to fly fish or spin fish, plus an experienced guide at the oars. We also include food and drinks! We have two start times to fit your schedule, 8:00am and 4:oopm! Winter hours vary to accommodate weather conditions We maximize your time by floating the best hours for fishing! 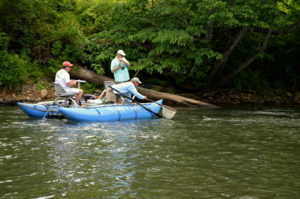 The Tuckasegee River is a fantastic western sized river that offers plenty of diversity in fishing options. With up to 34,500 trout per mile near Bryson City, the Tuckasegee River has one of the highest trout count per mile totals in the US! The Tuckasegee River has Rainbow, Brown and Brook trout with sizes ranging between 12-28 inches! Not many rivers in the country can compare. The “Tuck” is a complete year around fishery! 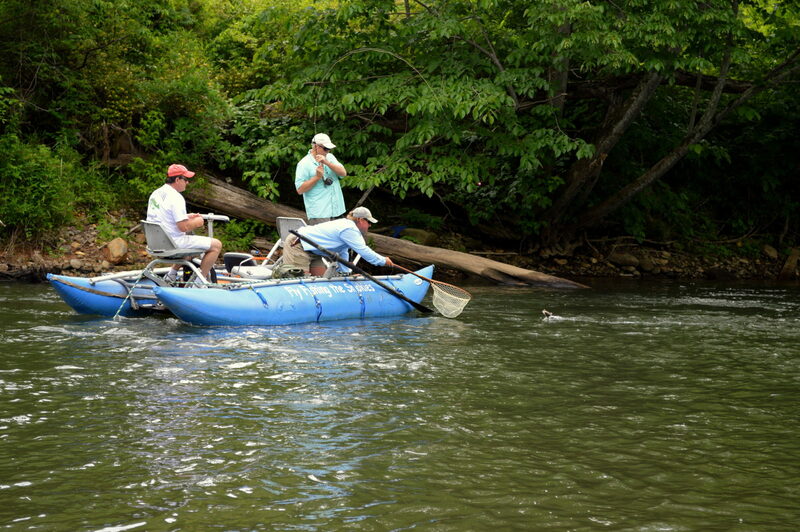 The Little Tennessee River is one of the best Smallmouth Bass rivers in the south! Wide slow moving water, miles of solitude and beautiful scenery make this one Drift Boat Fishing trip you’ll not want to miss. June through September is the best time to catch Big Smallmouth bass on the Little Tennessee River We have guided more trips down the “Tuck” and “Little T” than any other outfitter in Western North Carolina. Our staff knows every rock and secret fishing hole on these rivers. We have a fleet of five boats, each one perfectly setup to fly fish. 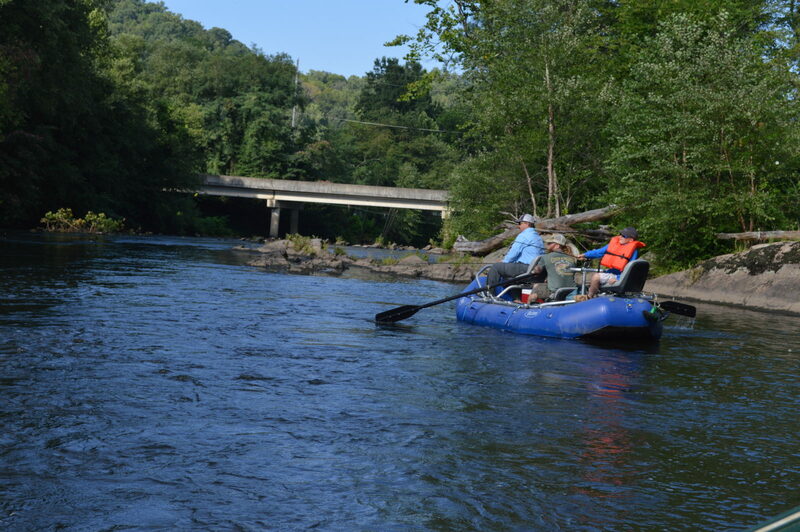 Head guide Eugene Shuler grew up on the banks of the Tuckasegee River, and knows it like the back of his hand. To date he has guided more than 4,000 Float Trips down the Tuckasegee River.